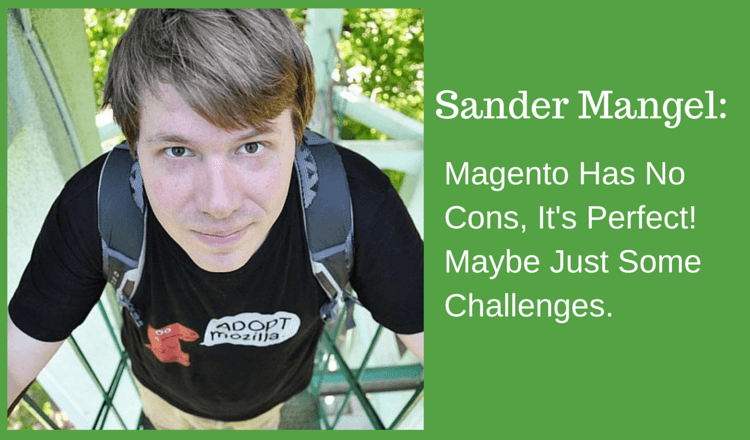 Cart2Cart series of useful and exciting interviews continues and today we would like to give you a possibility to know more about known PHP and Magento developer - Sander Mangel. He shared with us his brilliant experience and faced challenges during his professional career. What are the major Magento pros and cons? Which solutions he considers as the competitors of Magento? How to cope with data migration? 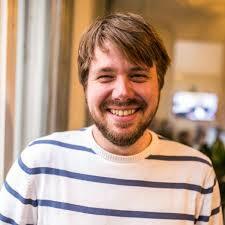 Explore Sander Mangel answers to all these questions. You seem to be a cheerful person who knows how to sing in the rain. Share with us, please, three interesting facts about yourself that are not widely-known. And dispel a secret of counterbalancing personal and professional life? I'm a pretty good cook, it's one of my biggest hobbies specially when I have enough time like weekends or holidays. I love to read, anything from history to detectives and I used to have a pet rat called Kiwi, this weekend I got two new ones; Fiona and Amy. On balancing personal and professional life, make sure you have enough time offline. Put away phones and laptops and actually try and have a live offline. Works pretty well to unwind. It's ok to work on Magento professionally or as a hobby in your personal time but at least to the fun stuff, don't use your free time to work on crappy issues. And have friends that aren't into development, otherwise you'll just get stuck talking about work and projects again. That's about it, finding balance is always difficult. I tend to work a lot and have to keep myself from spending all my free time on developing. You are PHP and Magento developer with eight years of experience behind the belt. How has your career started? And how did you start your work with Experius? I started out as a cameraman but unable to find an interesting job I applied for a job as developer since it was something I did in my free time. Started out as frontend developer back in the day when jQuery wasn't that widespread and IE6 was still a browser to develop for. Switched to PHP development pertty quick and stuck with it. A few months back I was up for a new job, wanted to work with a bigger development team and experience offered just what I was looking for. Luckily they were happy to employ me so I started out a month later. It's fun to work with a new team and see how different Magento development and 'best-practices' can differ per company or team. It works really well to get other perspectives when you're working with the same team for a long time. You tend to get stuck in your development. What three pieces of advice would you give to college students who want to become developers? Name main pros and cons of Magento as an e-Commerce solution. Magento has no cons, it's perfect! Maybe just some challenges... Cons are the learning curve, it's a pretty hard platform to wrap your head around. The hosting can be pretty expensive and there are a lot of crappy templates and extensions out there. Although the last goes for most platforms. Next to that, decent Magento development can be quite expensive if you want to have it done right. Specially when a client is used to, for example, Woocommerce the budget for Magento can seem quite a bit too much in comparison. But there are pros to. Magento is extremely scaleable, good value for money when you have a large shop. There is a great community and an abundance of good 3th party module builders. When you have a large number of products (50k+) or heavy traffic Magento is pretty much the way to go in my opinion. How can you describe the development of e-Commerce in your home country? There are a lot of great Magento agencies in the Netherlands and the eCommerce market is huge. In the first quarter of 2014 consumer spending online was over 20%, that's about 26 million purchases. Companies are dedicated to invest in eCommerce, both B2C and B2B and luckily there is enough work for the agencies. I think overall most Dutch people ordered something online and some point and with several large online shops (Bol.com, Coolblue, Wehkamp) people are getting more and more familiar with online shopping. Overall the customer experience with most of the shops will be good which, in my opinion, is one of the most important factors in the success of eCommerce in a country. If the perception of the general public on online shopping is positive it's easier for small vendors to start with their shop and find customers who aren't afraid to try out smaller, less known webshops. Which solutions do you regard as main competitors of Magento on modern digital market? Since Magento can service both small, medium and larger shops there is competition on both ends of it's segment. But for projects with budgets ranging from about 15.000 to 50.000 in my opinion there aren't a large number of competitors. Perhaps Drupal Commerce but for example Woocommerce or most hosted solutions are more suited for smaller shops. Demandware or Hybris would be better suited for larger projects probably over 100.000 budget. But in all honesty, I have very little experience with other platforms so please correct my if I'm wrong! I would love to see some statistics from Cart2Cart on migrations. Which platforms are most frequently migrated and is there a common amount of products, customers and orders per platform migrated. Many merchants opt for migration to Magento, but not always can find a right way or solution to perform the transfer. Do you recommend them using automated services or you find them risky? I've used Cart2Cart several times and in each and every time was very happy with the result. Still, it will only work when the shop isn't too heavily modified. Any custom changes to products for example will require some manual or custom migrations. But overall, with any (near) standard shop it's always worth a try to see if an automated migration like Cart2Cart will work. If Magento keeps evolving itself there shouldn't be a problem. With the new Magento 2.x version they're right back in the game technology wise. When it comes down to the community, the number of developers and the number of 3th party extensions it's hard to beat Magento. I don't see myself switching to any other eCommerce platform soon, and I think it's the same for a lot of Magento developers. And at the end of the day, along with the agencies they work for those will be the people selling Magento to the merchants. As for myself, I loved living in Romania and would like to move another country like the UK or Sweden for a year or more. So who knows. But 10 years is a long way from now, I don't plan that far ahead generally. Cart2Cart wants to thank Sander Mangel for sharing his thoughts. Stay tuned to our blog, as much more of fascinating e-Commerce news and interviews are still ahead.